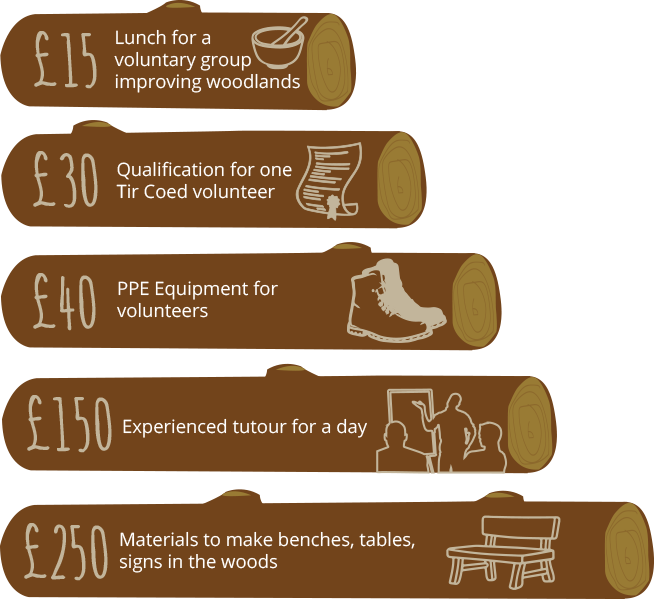 Your money could help to regenerate our local woodlands whilst helping local people enjoy the great outdoors and improve their future prospects. Have a flair for event organisation? Want to do a sponsored run or bungee jump to help promote the Positive work of Tir Coed?